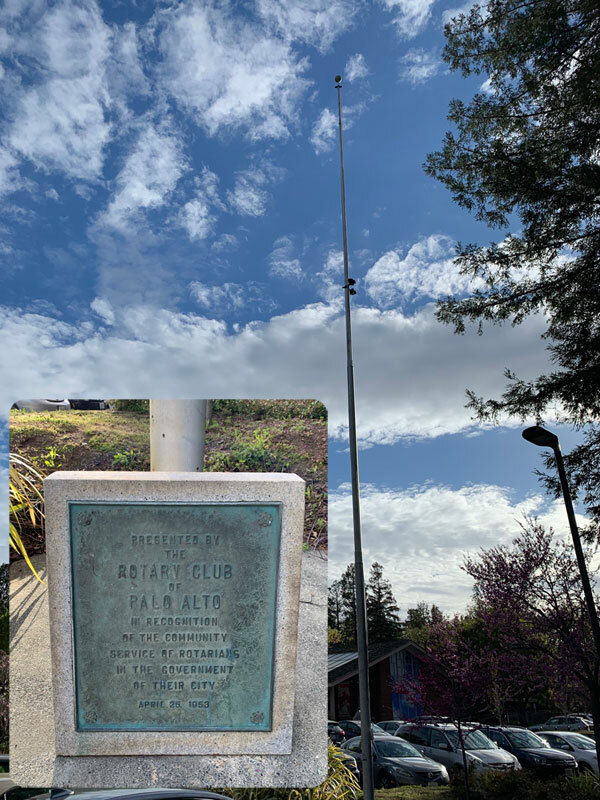 As the first Rotary Club on the San Francisco Peninsula and the first service club in town, the Rotary Club of Palo Alto was officially launched on April 18, 1922. The meetings were held in the oak-shaded Palo Alto Hotel at the corner of Lytton Avenue and Alma Street. First officers were Barney Roberts, President; George Morell, Vice-President; Howard Canine, Secretary; Willis Thoits, Treasurer; and Walter Nichols and Harry Reynolds, Directors. 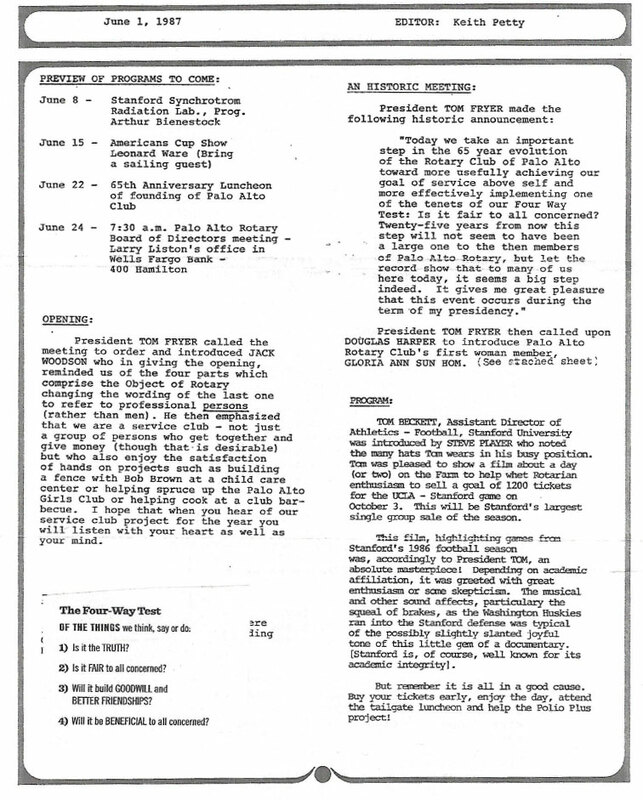 At a dinner meeting at the hotel on June 28, 1922, Dr. Tully C. Knowles, President of the College of the Pacific, presented the charter from the sponsoring San Jose Rotary Club. Sixteen members signed the charter. Only five years later, we were a part of Rotary International’s largest district, with 130 clubs in California, Nevada and Hawaii. Our club was privileged to have its third president, Almon Roth, become District Governor. Then, in 1930, Al became President of Rotary International. In 1967, our club furnished another governor, Jack B. Power. With great pride, members have watched the Club grow, seeing it keep pace with the best in Rotary and often leading in the practice of those principles which have made Rotary great. The Club has been favored by having available for membership the high type of citizen which a great center of learning, science, research and industry attracts. It has been blessed by the quality of its leadership and devotion of its members to the ideal of Rotary. Among the Club’s members have been, and still are, outstanding citizens, public officials and civic leaders. Best of all, the Club has given high inspiration to its members in the Rotary ideal of unselfishness. The charter members had no idea in 1922 of the greatness in store for Rotary, either in growth or worldwide influence for good, nor how profoundly Rotary would enrich their own lives. The records of every local group devoted to the community betterment are studded with the names of Rotarians active in their service. There could be no more eloquent testimony as to why Rotary lives and grows. 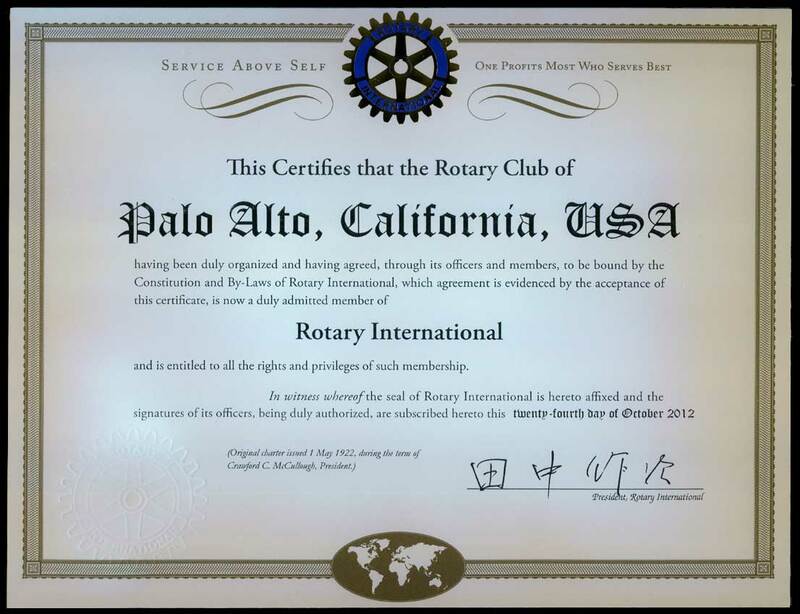 Recognizing Gloria Hom as the first female member of Palo Alto Rotary, minutes after the U.S. Supreme Court rules that Rotary clubs may not exclude women from membership on the basis of gender.